1951 Edition - A Review of "Hymns Old and New"
INTRODUCTION TO HYMNS . A Christian hymn is a song of praise to God. A hymn was first a poem that was later set to music. The Psalms in the Old Testament were poems of praise and lamentation set to music. Bound collections of hymns are known as hymnals or hymnbooks. In 1450, Johannes Gutenberg invented the printing press in Mainz, Germany, which was followed by the development of movable type in 1454. Before these inventions, books were scarce, and it took months and sometimes years to write or copy a new book or Bible by hand. In 1524 , what is thought to be first Protestant collection of hymns, the First Lutheran hymnbook, appeared in Wittenberg, after hymns had previously been distributed as broadsheets. In 1531 , the Bohemian Brethren hymnbook was published in German in Bohemia. In 1535 , the first British hymnbook was Coverdale's "Goostly Psalmes and Spiirituall Songes." In 1538 , the Genevan hymnbook was published by Calvin at Strasbourg, France. In 1612 , Henry Ainsworth prepared a hymnbook in Holland for the Pilgrims' use which they brought to America. In 1640 , the first hymnbook printed in North America was "The Bay Psalm Book," published by Cambridge. In 1913, the FIRST "Hymns Old and New," was printed. HISTORY OF 2x2 HYMNBOOKS. For the first 15 years, the 2x2 Church did not have its own exclusive hymnbook. After a time of testimony at the 1904 Crocknacrieve Convention, "more 'Songs of Victory' were then sung" (Impartial Reporter June 2, 1904, TTT ). At the 1908 Crocknacrieve Convention, there was still no hymnbook used : "The singing by the vast audience of hymns with moving tunes and choruses was a feature of that night's meeting. The hymns appeared to be known by heart" ( Impartial Reporter July 30, 1908, TTT ). Before the first 2x2 hymnbooks were published, some Friends and Workers sang from various nondenominational hymnals, such as Redemption Songs and Songs of Victory. Ever since their early days, hymns have been sung without a musical accompaniment at Conventions. "Hymns were sung....It was remarkable that though such a large number of people sang together without any controlling force of any kind, they kept wonderfully in time, and their singing was brisk and evidently enjoyed by the majority " ( Impartial Reporter July 28, 1910 , TTT ). To this day, hymns are usually sung a cappella at Conventions and all other 2x2 Sect Meetings, with the exception of Gospel Meetings, where piano accompaniment is often used. "This is Crocknacrieve, the present meeting place of the Pilgrims or Tramp Preachers....Once having entered, seats are shown and hymnbooks are distributed, these latter a small selection from 'Songs of Victory'" (July 28, 1910, TTT ). "One example of the low standard of education or want of knowledge of the Tramps is to be found in what they call a Hymn Book , which contains along with some well-known hymns, a surprising collection of doggerel that a fifth rate newspaper would be ashamed to publish" (Oct. 7, 1909 , TTT ). "And while the Tramps denounce John and Charles Wesley as having gone to hell, they sing the very 'devilry' written by Charles Wesley in some of his immortal hymns" ( Aug. 27 1908 , TTT ). Authors' names are not provided in the Go-Preacher's Hymn Book. There are 12 hymns with the initials E. C., which are Edward Cooney's initials. Further evidence that these initials apply to Ed Cooney is that No. 130 is also included in the poem section of the book Selected Letters, Hymns and Poems of Edward Cooney who lists Edward Cooney as the author (Roberts 1991, 118). "The Earlier Editions of 'Songs of Victory,' compiled by the late Mr. A. W. Bell, enjoyed a good measure of popularity, but for a number of years it was out of print. 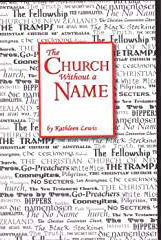 Feeling that there was a distinct place for it, the Faith Mission acquired the copyright of the book, issuing it in a revised and abridged form in 1922. In the years since, the book has established itself as the hymnbook of the Faith Mission, and there has been a demand for it in wider circles also" (Eph. 5:18,19, R.V.). Hymn No. 119, "O Wanderers, Come to Jesus" in Hymns Old and New was written by Rev. Horace E. Govan, who was the brother of the founder of Faith Mission. The hymn author list states: "Horace E. Govan (1866-1932); The author was a citizen of the U.S.A." This is incorrect. He was born in Scotland and lived there his entire life. "On Sunday last a new hymnbook entitled, 'Hymns: Old and New,' made its appearance. This book, compiled by Edward Cooney and William Carroll, consists entirely of hymns taken from such collections as 'Songs of Victory,' 'Redemption Songs,' and 'Songs and Solos.' The Go-Preacher's Hymn Book is no longer used" ( Impartial Reporter July 3, 1913 , TTT ). The 2x2 Hymns Old and New is an English hymnbook published exclusively for use of the Friends and Workers. It is highly valued by them and has been an important part of their spiritual lives. They sing, hum, quote, study, preach, speak, write, are touched and moved to tears by the hymns. Most publicly evidenced their choice to serve the Lord while a hymn was being sung. In the Early days, they even marched through town singing hymns, with Edward Cooney at the front leading "several hundred converts, four abreast, marched through the town singing hymns . Crowds of people lined the streets as this unique procession passed along" ( Anglo Celt Dec. 30, 1905, TTT ). Since 1913, the Friends and Workers have been using Hymns Old and New as their official hymnbook. In the years since 1913, the book has been revised, using the same publisher, R. L. Allan & Son Publishers Ltd. In addition, a number of supplements have been produced at various times in some countries. Currently, the 1987 Edition is in use. Since this hymnal is the only official publication made under the direction of the Sect's leaders, it is the only printed collection of official 2x2 Church teaching and beliefs, apart from similar collections of hymns published in other languages. R. L. ALLAN & SONS , PUBLISHERS, LTD. They started business in 1863 as a bookseller and publisher of books in Glasgow, Scotland. The first edition of "Hymns Old and New," was published in 1913 by R. L. Allan & Son. The copyright page in the 1987 Ed. states: "Previous compilations entitled 'Hymns Old and New' were published in 1919, 1928 and 1951. " In 1922 John Gray of Pickering & Inglis Ltd, a Christian publishing enterprise, licensed the rights to two hymnbooks from R. L. Allan & Son, which was the start of the Gray family's relationship with Allan's. Almost 50 years later his son, Andrew Gray, took over the company, after which his son, Nicholas Gray purchased it. Around 2013, Ian Metcalfe, grandson of Andrew Gray and also Nicholas Gray's nephew, took over the business and moved it to London. "No one is left within the company who can remember more than 15-20 years of R. L. Allan, and the forming Managing Director of Pickering & Inglis has now passed on...I regret I do not know Mr. Smith's status within the Friends and Workers, or indeed whether he was a member" nor did he "know how the Friends and Workers became associated with R. L. Allan...We only publish one book for the Friends and Workers" (May 25, 1988*). "Pickering & Inglis bought the business from the owner, Mr. Smith, in 1970 as a result of...Pickering & Inglis taking over the publishing of 'Redemption Songs'....R. L. Allan became a part of Pickering & Inglis, and at that point the interest, became exclusively for the Friends and Workers. R. L. Allan is now part of a small group called Chapter House Ltd. which incorporates Pickering & Inglis. Allan now publishes a hymnbook called 'Hymns Old and New' in English and German, and specially bound KJV Bibles for this group." (April 19, 1994, TTT ). Compilation copyright was registered in U.S. in 1987 by Pocock & Martin as Trustees for the Christian Church in England. In 2013, R. L. Allan moved from Glasgow, Scotland, to Surrey, England. Several letters from R. L. Allan & Son are posted in the Hymn Section of the Photo Gallery of the website Telling the Truth . 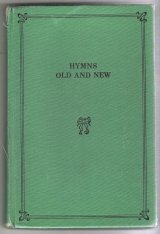 REVISION OF 1935 EDITION OF HYMNS OLD AND NEW. Bert Pattison, a Brother Worker from Cloughjordan, Ireland, gave the reason the 1935 hymnbook was republished. "In 1951, a complete revision was made, because the type had become so worn and the book so bulky; this necessitated many old favorites being left out so that room might be found for new ones....We were unable to obtain some tunes because of copyright difficulties" (B. Pattison 1951, TTT ). REVISION OF 1951 EDITION OF HYMNS OLD AND NEW. In 1983, after the 1951 Edition had been used for 32 years, the Workers set about revising the hymnbook once more. A committee of Workers from around the world met in Lakewood, California, to work on the hymnbook revision project, and a group photograph was taken on April 6, 1985, of 25 Workers involved. The 1987 Ed. included 412 hymns, of which 110 were "new" hymns, while 28 hymns from the 1951 Ed. were excluded. Some changes were made to both words and tunes and some hymns were given new tunes. Pause commas and a topical index were added. Numerous lists were printed and distributed to accompany the new hymnbook, as well as supplemental booklets containing a hymn concordance and authors' names. In an effort to learn the new hymns and tunes, some Friends practiced singing the new hymns with piano accompaniment, and made and distributed tape recordings of them. Some Workers became alarmed that the tapes violated copyright laws and instructed the Friends not to make tapes and also not to make copies of the hymns. After receiving their hymnbooks, some Workers instructed the Friends to burn their earlier 1951 Ed. hymnbooks, lest they fall into "the wrong hands." WHO WROTE THE HYMNS? The 1987 Ed. does not contain the names of authors or composers. However, they are identified in supplemental author lists. According to R. L. Allan, the sources were omitted because "Part of the agreement concerning the New Hymn Book  was that the authors were to be kept anonymous to avoid unhealthy pride, etc." (Allan 1988, TTT ). Many hymns and/or tunes included in Hymns Old and New are in the public domain, while others have been borrowed from outside hymnals. The Hymns Old and New: An Unofficial Compendium Website contains a spreadsheet that shows "T he source of hymns that have been published in the Go-Preacher's Hymn Book (1909) and in Hymns Old and New (Published by R. L. Allan and Son 1928, 1935, 1951 and 1987). 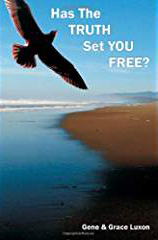 Many have been composed by members of the 2x2 Fellowship known as 'Friends and Workers') but other sources identified are: Sacred Songs and Solos...New Hymns and Solos...Redemption Songs...Songs of Victory " ( 2x2 Hymns Compendium ). The earlier editions of Hymns Old and New contained more hymns written by non 2x2s than by 2x2s. Subsequent editions have included more hymns written by 2x2s than by non-2x2s. The percentage of hymns written by 2x2s in Hymns Old and New in the 1919 Ed. is 46%; 1928 Ed. is 59%; 1935 Ed. is 64%; 1951 Ed. is 64%, and the 1987 Ed. is 74%. Of the 412 hymns in the 1987 Ed., 26% (or 109) were written by non-2x2s. It contains at least one hymn written by a Catholic Saint, 15 by Anglicans, 5 by Baptists, 16 by Methodists, 11 by Presbyterians and 5 from the Salvation Army. Hymn No. 158, "Just as I am ," was not written by a Friend or Worker. This special hymn is often sung in Gospel Meetings while some stand to publicly indicate their choice to convert. The author was Charlotte Elliott , an Anglican born in 1789. She wrote this hymn over 100 years before the first 2x2 hymnbook was published. Also, the familiar hymn No. 1, " Tell Me the Story of Jesus , " was written by a Methodist, Fanny J. Crosby , born in 1820, who wrote over 8,000 hymns. Names of Workers and Friends are in capital letters (uppercase) . Also, hymns with the notation " Words: ©* " were written by Friends or Workers. Sam Jones was the 2x2 author who wrote the most hymns in the 1987 Ed., and has been called "The Sweet Psalmist of Israel" He wrote 112 hymns, and also wrote the tunes to four of them. In the 1987 Ed., Alexander (Sandy) Scott and James Jardine each wrote 18 hymns; May (Carroll) Schultz and Elma Wiebe-Milton each wrote 10 hymns; Jack Annand and Ken Paginton each wrote 9 hymns each, and Glenn Smith wrote 9 hymns and also composed their tunes. OLDEST HYMNS. The oldest song author in the Bible is Moses, who wrote at least three songs found in Ex. 15, Psalms 90 and Deut. 32. The word "psalm" means "praise." The Psalms from the Book of Psalms in the Bible were used in corporate Jewish worship. They are a collection of songs, most of which were written by King David. Several have been paraphrased by various authors and set to music (Hymn Nos. 214, 238, 308, 312 and 378). The five 2x2 hymn authors who entered the Work the earliest were John Sullivan and Tom Turner in 1900; Sam Jones in 1902; William Carroll and William Weir in 1903. The oldest 2x2 hymn authors by birth years were Edward Cooney born in 1867; Charles Hultgren born in 1869; James Patrick born in 1872; Adam Hutchison born in 1873; John Sullivan and Robert Blair both born in 1874, and Robert Skerritt and Charles Morgan both born in 1875. None of these men entered the Work before 1900. The oldest hymns in Hymns Old and New are written by Outsiders, and the oldest author was a Catholic Saint, St. Bernard of Clairvaux, a Catholic monk born in 1091. Many 2x2s have been under the impression that the words and music in Hymns Old and New were all written by Friends or Workers. Some have been amazed to discover that other church hymnals contain some of the same hymns found in the 2x2 hymnbook. Further, some have been shocked to learn there are no hymns written by 2x2s before 1900 in their hymnbook. AUTHOR EDWARD COONEY. He was the author of four hymns in the 1987 Ed. Of the 412 hymns shown on the list titled Hymns Old and New Authors (1987 Ed. ), four hymns do not include the author's name. This omission is significant because all four of these hymns were written by Cooney when he was a Worker. In fact, Cooney's name has been omitted in most of the editions of "Hymns Old and New. " His initials "E. C." appeared in some of the old hymnbooks, but not his full name. His name has also been omitted from some Hymn Author Lists. The following hymns in the 1987 Ed. were written by Edward Cooney: No. 179 "As We Gather ," No. 182 "Lord We Are Met Together ," No. 183 "Our God, Our Father ," and No. 184 "Here We Come ." He also wrote "Jesus Died for Sinners," which is No. 10 in the 1951 Ed. Roberts 1991). Brother Worker, Ken Paginton , handled copyright matters for the 1987 Ed. hymnbook. Dr. Patricia Roberts told the Author that he requested her permission to include Cooney's four hymns in the "Hymns Old and New, " 1987 Ed. She gave permission. A few years later, Dr. Roberts requested copyright permission through R. L. Allan to print Edward Cooney's hymns in her book, and her request was forwarded to Paginton. He replied to her, "As you know, they were written by Edward Cooney and therefore, we can't morally stop you." Dr. Roberts thanked him and sent him a copy of her book. The present day followers of Cooney continue to use the 1951 Edition. Paginton replied on February 24, 1992, to an inquiry by the Author, "With regard to the four hymns 179, 182, 183, and 184, these were written by E. Cooney in the early part of this century. " Concerning the omission of Cooney's name in the Hymn Author booklet, he stated "for various private reasons, the name is not given for those four hymns, and this should be respected." In 2004, twelve years later, Edward Cooney was finally given credit for the Hymns he wrote in the revised and expanded Hymns Old and New - Concordance - Theme and Subject Index -Authors, 2004 Ed., which states "Edward Cooney (1867-1960); The author was an independent evangelist." Edward Cooney entered the Work in 1901 and was a Worker in good standing when he wrote the four hymns that have been included in each Hymnbook edition since 1917. Even after the Workers excommunicated Cooney in 1928, they continued to include his hymns in their hymnbook, but without giving him credit. 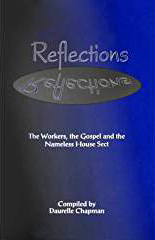 It is obvious that even as recently as 2004, Workers have continued their attempts to purge Cooney's name from the 2x2 Sect's history by calling him an independent evangelist and obscuring his pioneering role in it. It appears to be a lost cause, however, as Cooney's role in the early days of the movement and his name is so well known that the 2x2 Sect is still called "Cooneyites" in some places around the world, as well as in various, books, encyclopedias, newspapers, Wikipedia and various other websites. Even though Robert Skerritt, the author of hymn No. 28, left the Work and Meetings and followed William Irvine's Omega Message from the early 1920s, the author list does show his initials only. It misleadingly comments " Robert laboured in Ireland, U.S.A. and Sweden; and lived his latter years in California, U.S.A." The 2004 authors list could have remarked regarding Cooney in a similar manner: "Edward, Irish, was in the Work 1901-1928, and labored in Ireland, Canada, U.S., Australia and New Zealand. HYMN AUTHORS: OUTSIDERS. Listed in order by their birth year, the five oldest Outsider hymn authors are: St. Bernard of Clairvaux born in 1090, Catholic; Paul Whittingham born in 1524; Paul Gerhardt born in 1607, Lutheran; Isaac Watts born in 1674, Congregationalist; Gerhard Tersteegen born in 1697. "Who was Saint Bernard of Clairvaux? He was born in 1090 near Dijon, France and entered the order of Cistercian monks at the age of 21. Endowed with a warm personality and sharp intellect, he was named as head of a new monastic foundation. Because of his success, his monastery became known as the Valley of Light...or Clairvaux....A mystic and theologian, he composed numerous treatises which influenced the Church's thinking for centuries....He died on August 20, 1153, and was canonized by Pope Alexander III in 1174...he is often called the last of the Fathers of the Church . His feast is observed on August 20." SECOND OLDEST HYMN AUTHOR. Paul Gerhardt, was born in Germany in 1607, and was the author of "God in Heaven Hath a Treasure" (Hymn No. 351), and also "A Homeless Stranger" (Hymn No. 209 in 1951 Ed. ; not in 1987 Ed.). Gerhardt wrote 123 hymns , many of which are well known throughout the world. He was an ordained Lutheran minister and served at the Lutheran Church in Wittenwalde. He is called the "Sweet Singer of Lutheranism." THIRD OLDEST HYMN AUTHOR. Isaac Watts was born in England in 1674, and wrote over 600 hymns , earning him the title "Father of English Hymnody. " He was the author of "When I Survey," Hymn No. 6, and he also paraphrased the Psalms in Nos. 378 and 238. After Watts died in 1748, a monument in his honor was erected in Westminster Abbey, England. He was a Congregationalist. For 150 years, English Protestants were restricted to singing only the Psalms in public worship. Watts complained that the faithful could not even sing about their Lord, Christ Jesus. He decided to do something about it. In 1707, a book of his hymns was published titled Hymns and Spiritual Songs . Watts is credited with writing the first English hymn which was not a direct paraphrase of Scripture. Watts wrote hymns based on New Testament passages that brought the Christian faith into church singing. His hymns gloried in the power, wisdom, and goodness of God. Watts original verse 2 in "When I Survey," (Hymn No. 6) contains the words "Save in the death of Christ MY GOD," in most editions. This was changed to "Christ my Lord" in the 1987 Ed. of Hymns Old and New , which is more in line with the 2x2 nontrinitarian view of the relationship between Jesus and God. FOURTH OLDEST HYMN AUTHOR. Gerhard Tersteegen was born in Moers, Germany in 1697, and was the author of "Come, Brothers On," Hymn No. 304, and "How Sweet It Is," Hymn No. 247. He was one of the two most famous 18th Century German hymn writers . He grew up in poverty, could not afford an education, studied theological books at home and became an outstanding lay theologian and lay pastor in the Protestant Pietism movement. FIFTH OLDEST HYMN AUTHOR. Charlotte Elliott was born in England in 1789, and was the author of "Just as I Am" (Hymn No. 158). She became an invalid in her early thirties and was depressed. A minister asked her if she had peace with God. She made some excuses to procrastinate and he invited her to "Come just as you are." Ms. Elliott did so and became an Anglican. She later wrote the hymn, "Just as I am" which has touched the hearts of countless people who have been influenced by this hymn to respond to Jesus invitation to come "just as you are." This hymn has been called the world's greatest soul winning hymn . NOTABLE AUTHOR. Frances (Fanny) Jane Crosby was a blind author born in New York in 1920. She wrote over 8,000 hymns , under various names, earning her the title of the " Hymn Queen ." It would take about 22 years to write one hymn per day. Nine of her hymns are in Hymns Old and New, including No. 1, "Tell Me the Story of Jesus." She married a blind musician and teacher, and passed away in 1905, aged 95. Her headstone contains the first verse of her most famous hymn: " Blessed Assurance." This hymn has never been included in Hymns Old and New , as 2x2s reject the doctrine that in this life one may be assured of their salvation. There are many books written about this author. NOTABLE AUTHOR. Horatius Bonar was born in 1808, in Scotland, and wrote more than 600 hymns, including four in the 1987 Ed. 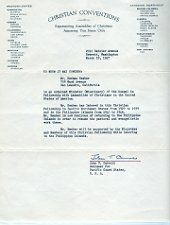 (Nos. 112, 298, 330 and 397). He was ordained by the Church of Scotland in 1938, joined the Free Church of Scotland at the time of the Disruption of 1843, and served as the pastor at Chalmers Memorial Church in Edinburgh. He was known as "The Prince of Scottish Hymn Writers." There are many books containing hymn stories available in Christian bookshops with interesting accounts about how various hymns came to be written by Christians outside the 2x2 Sect. The stories behind the hymns are often moving and intense. Some of the best loved hymns were born from tragic circumstances. HYMNBOOKS USED IN OTHER COUNTRIES. Hymnbooks used by foreign 2x2s similar to Hymns Old and New are printed in several languages: German, Spanish, Portuguese, Dutch, Afrikaans, Norwegian, Swedish, Finnish, Italian, Korean, Tagalog, Malagasy, Icelandic, Vietnamese and probably others. The Dutch and Spanish hymnbooks contain a notation: "This hymnal is not to be sold." The bilingual countries of Switzerland, Belgium and Luxembourg use both the French and German hymnbooks. LEAFLETS OR SUPPLEMENTS. Leaflets containing additional hymns, also known as Supplements, were used in some countries for up to 50 years along with Hymns Old and New. In the 1940s in South Australia and New Zealand, Overseers Willie Hughes and John Baartz were instrumental in arranging the Supplements. The early editions were words only and contained about 12 to 18 hymns, but increased in size in later printings. In 1941, Bill Carroll, Overseer of Victoria, published a Leaflet which included some hymns by Willie Hughes, Sam Jones and Bill's daughter May Schulz. Leaflets were also used in the Western Alliance, but not in the Eastern Alliance under Overseer, George Walker. After the new hymnbook was printed in 1987, the use of Leaflets was discontinued. TABLE GRACES. Before eating a meal at home, it is customary for the 2x2 host to say aloud an impromptu table grace of thanksgiving for the food set before them, or to ask someone else to do so, including children. The group may be standing or seated, and they do not hold hands. In public, individuals usually give thanks (aka grace) silently. Sometimes a group will sing a table grace together, which is the custom at their Conventions. Table graces were printed on cards in the past. Through the years, many hymns and poems have been written by 2x2 authors which were not included in their hymnal Hymns Old and New. Listed below is some of this unpublished material that was compiled in booklets. A General Index to Hymns Old and New (to 1951 Hymnbook). Order from: C. H. Olds, 22A King's Drive, Levin, New Zealand. Collected Hymns (5 Volumes; 1-5). Order from: P.E. Chamberlain, Box 313, Papakura, South Auckland, New Zealand. S. Jones Hymns (undated): Previously ordered from Sam Jones Songbook, P.O. Box 3065, Camarillo, California 93010, 117 pages, spiral-bound; No compiler named (very old, probably not available now). Sam Jones professed in Belfast, Ireland, and went into the Work in 1902. He went to Western Australia in 1908. Sam died in 1946 in Rockingham, Australia, 30 miles south of Perth. Hymns of Kenneth D. Dissmore (notebook): A white binder containing numerous Dissmore hymns with a table of contents, assembled without a publisher. At Kenneth Dissmore's funeral held 4/13/93, a speaker at his funeral said that "He was a psalmist of our day, bringing true scriptural thoughts into hymns that inspire us." He was born September 12, 1916, died April 9, 1993, and is buried in the Glenwood Cemetery in Dallas, WI. Hymns By John Martin (undated booklet): John Martin lived 1876-1956. From A Review of Hymns Old and New: "Our old Friend and Brother John Martin went forth in 1916 from his home in County Sligo and for a few years was in the Work in Ireland before going to Scotland. He was writing hymns before he went into the Work. Although we only have two of his in this issue - Nos. 149 and 328, yet No. 149 is considered by many to be the best and one of the most useful hymns in the book, because it embraces so much that is dear to the heart of God's children" (B. Pattison 1951, TTT ). Hymns by Sandy Scot t: Printed at the County Press, Bala. N.d. 60 pages, 184 hymns, and 4 poems. Text only. Inside: "Copies of this Hymn Book are obtainable only from H. Schultz, 182 Secrest Place, Penticton, B.C. Canada." Hymns by F. Willis Propp: Self published pamphlet, 1996.